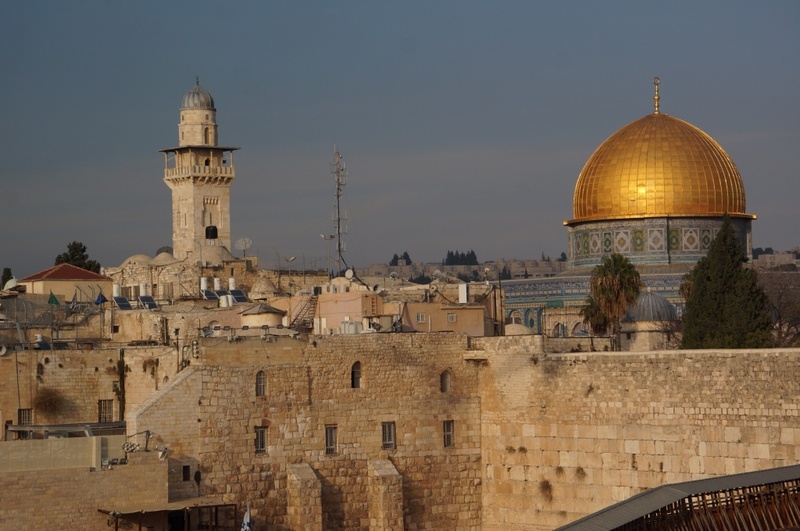 This site has been most holy for Jewish, Christian, and Muslims alike. 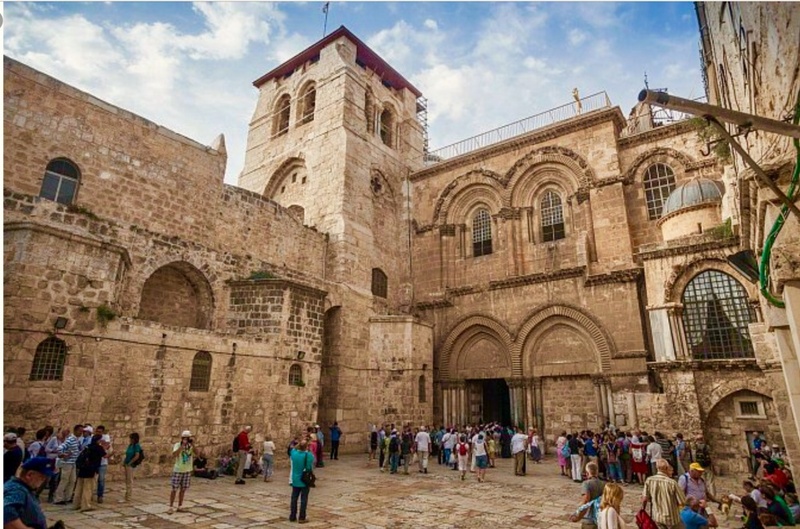 Long before the Temple was built, for the Jews, it was the place where Abraham came to sacrifice his son Isaac, and Jacob slept here, dreaming of a ladder to heaven. For the Muslims, they believe it is the place where Allah went to heaven on a winged horse. 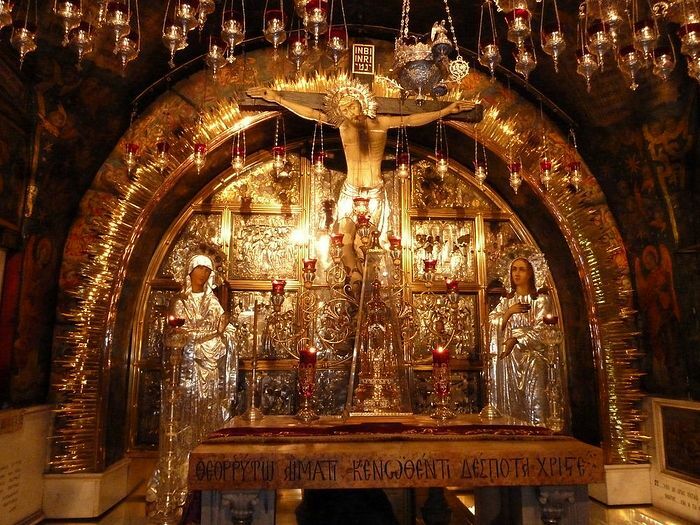 For Christians, it is the place where a Jesus was crucified on the cross, was buried, and rose from the dead three days later. This is indeed sacred ground for all three of these religions with their most holy sites. 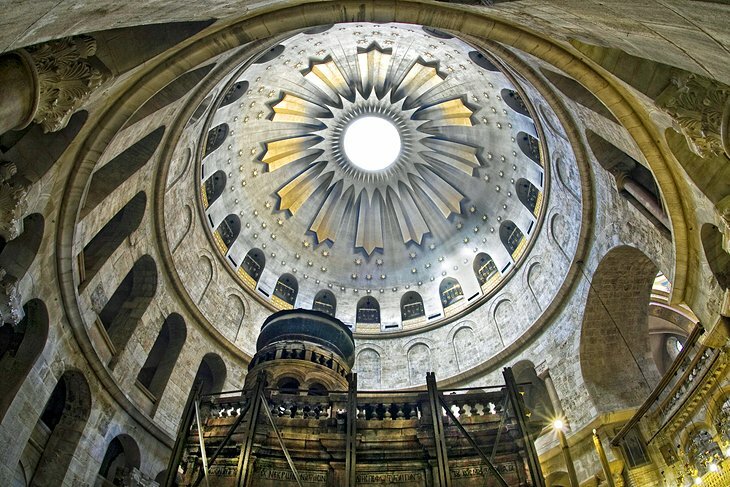 Again, this temple was completely demolished by the Romans, then the Byzantines, the Moslems, the Crusaders, the Ottomans, the British, the Turks, and eventually becoming the state of Israel with temples on this site being built, burned, rebuilt, destroyed, and built again over and over. 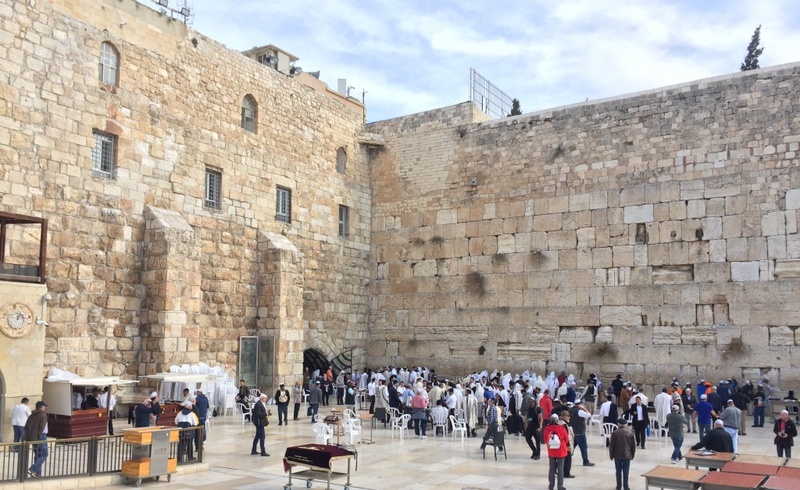 What has remained through it all is the Western Wall of the original temple from 3000 years ago. 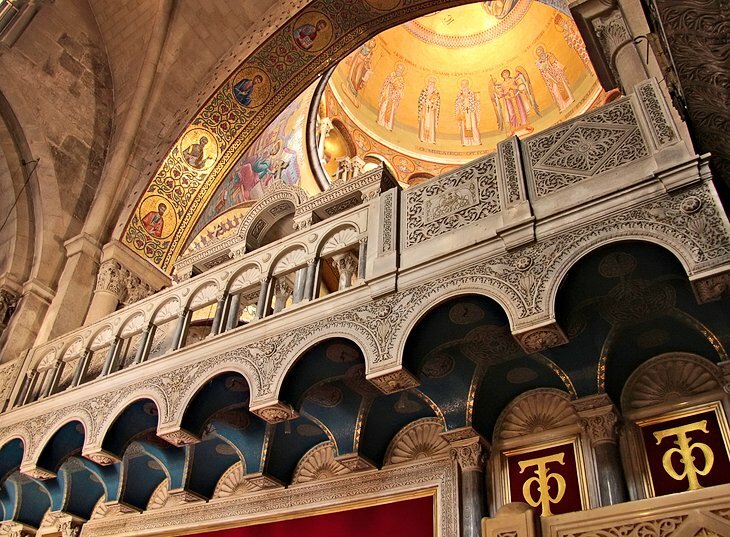 It has become the most sacred structure to the Jewish people for prayer, redemption, and renewal of the Jewish people. Prayers from visitors are written on small pieces of paper and left for God between the cracks of the stones. 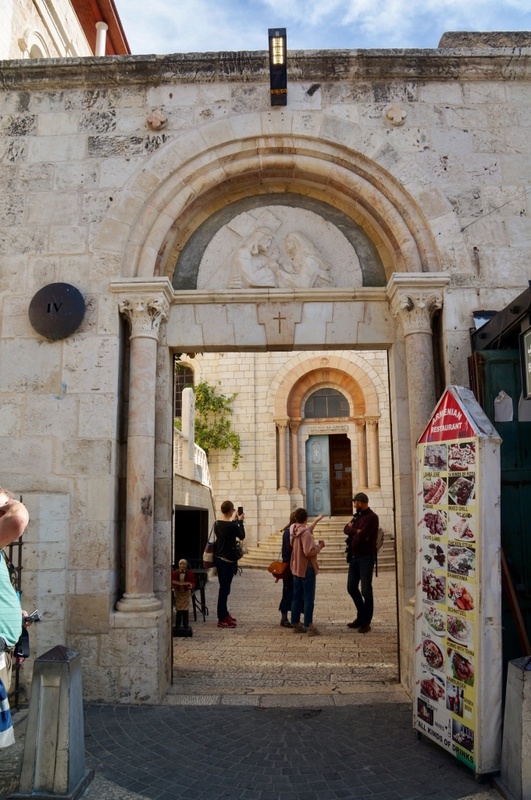 As we proceed through the narrow alleyways of the Old City, we find ourselves on Via Dolorosa, the street where Jesus made his final walk carrying the cross to his crucifixion. 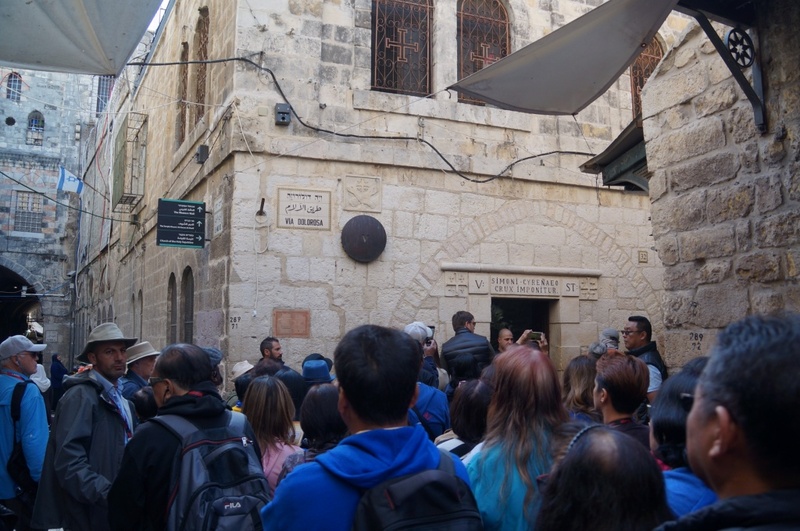 There are 14 stations identified through the alleys which focus on the last day of Jesus Christ’s life on Earth as a man beginning with this condemnation. These stations identify exactly what happened at that exact spot. 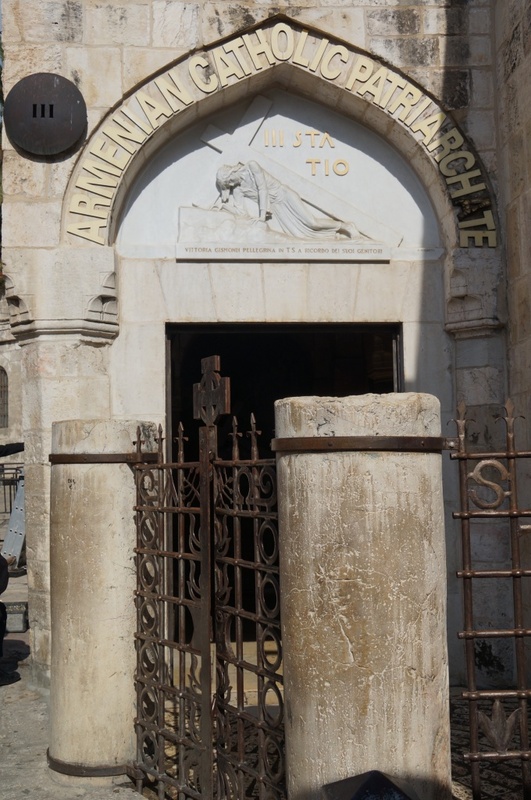 This numbered route has become a pilgrimage for believers, moving from station to station, remembering the suffering of Christ, beaten and scorned, wearing a crown of thorns and dragging a heavy cross through the alleyways of Old Jersusaleum. Station #12 below, shows a shimmering Mary Magdalene and the Virgin Mary flanking Jesus on the cross. 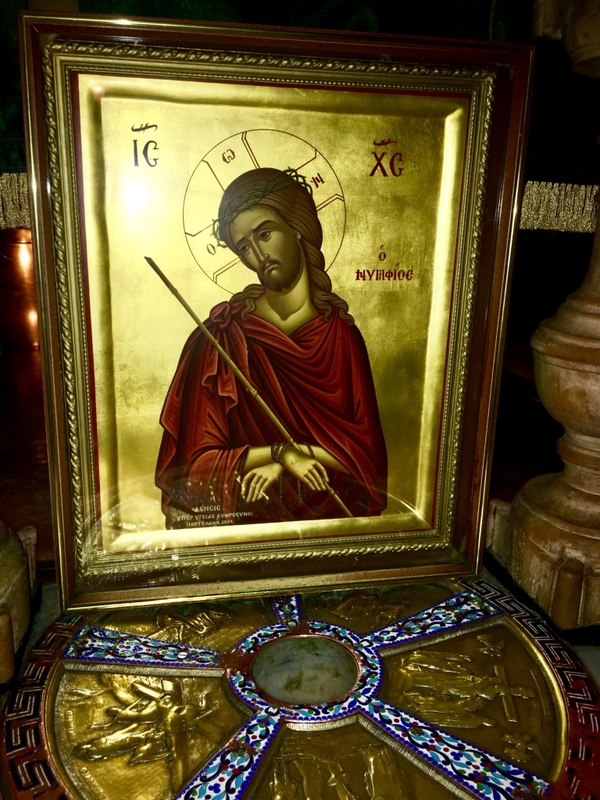 Under the small altar is a silver disk with an indentation in the middle marking the exact location of Jesus’ cross. 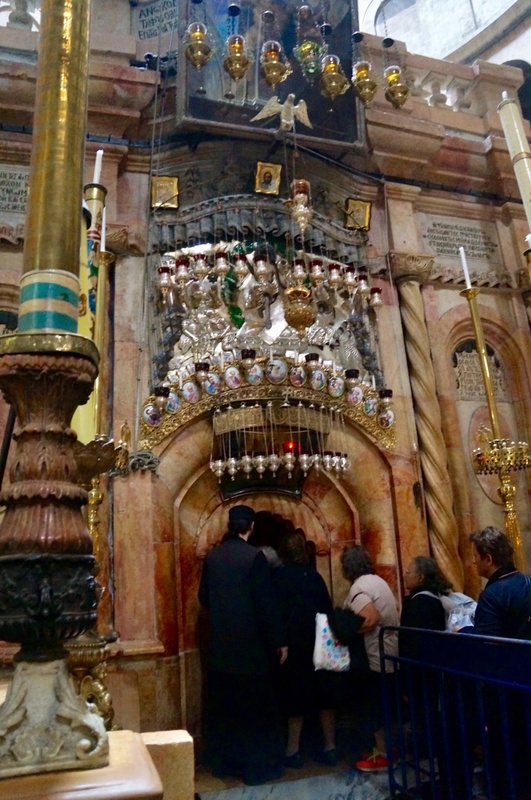 Station #13 is the stone where Jesus’ body was laid after. This beautiful stone was anointed with a mixture of mirth and oils. 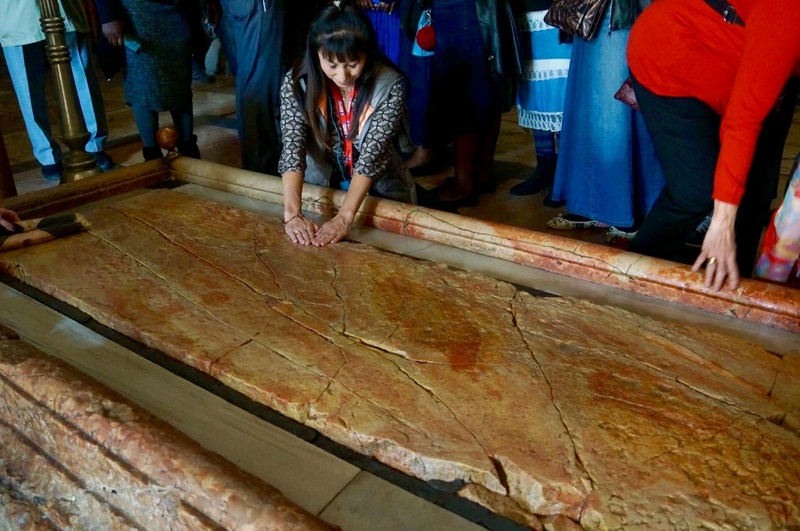 Visitors still come with oiled cloths and rub on the stone. 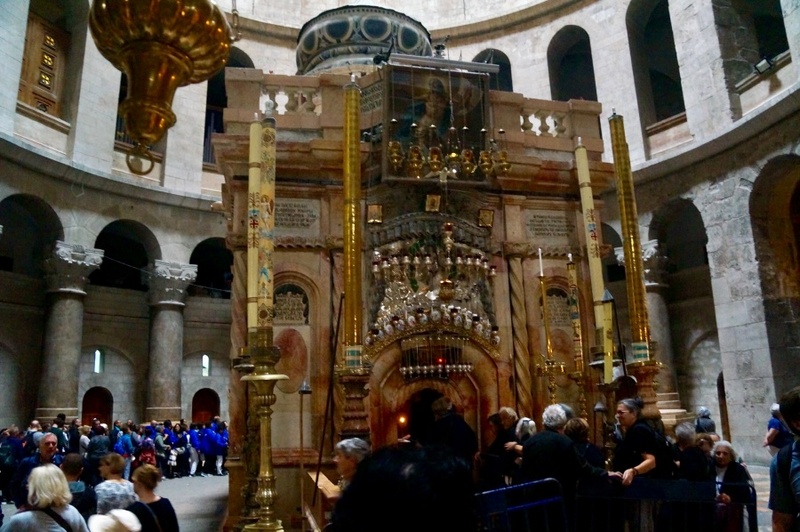 Station #14 is the Church of the Holy Sepulchre which holds the tomb of Jesus. The tomb is covered with a marble slab. Jesus died on Friday. 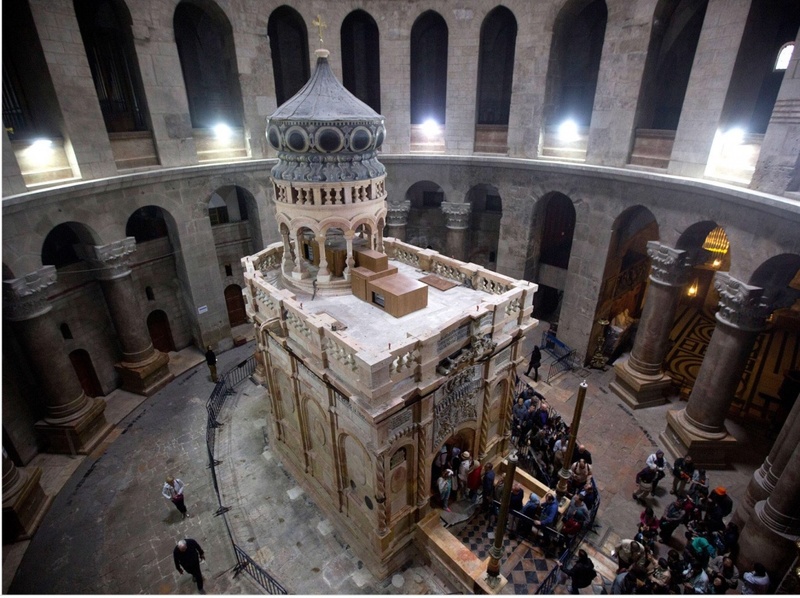 The next day was the Sabbath, so no one was allowed to work on the body for preparing for burial so he was laid in a tomb, provided by a wealthy person who owned it. They would return to prepare the body later. When they came back in three days, Jesus was not there. He had risen! 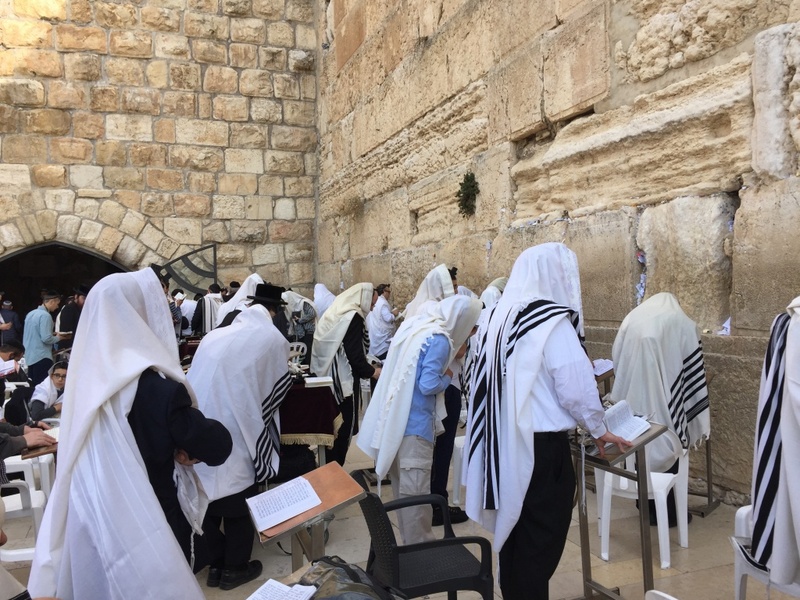 For the visiting observer, it was an amazing day of 3,000 years of incredible history that has taken place in this Old City of Jerusalem. For the true believers, it has been an emotional and personal day of dealing with your relationship with God, your beliefs, and these historical facts that match with the cornerstone of the Christian faith. 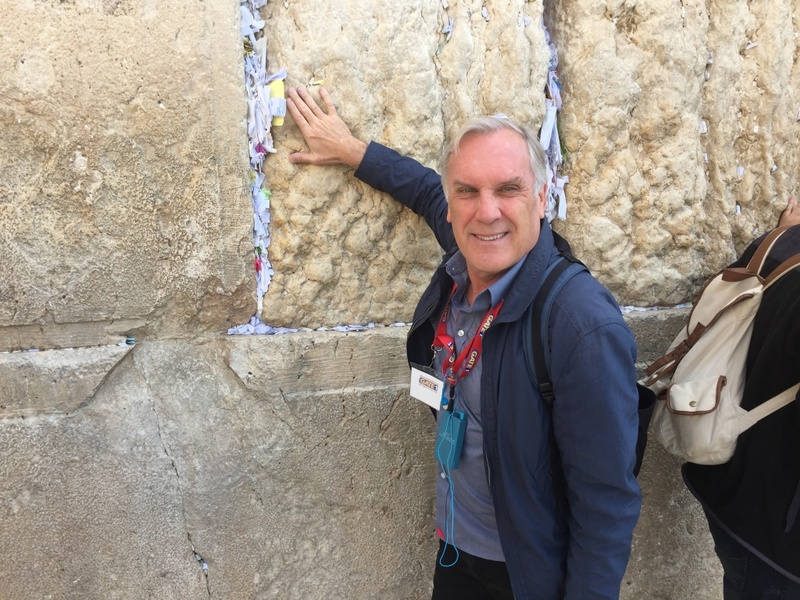 Monie, if you are still in Jerusalem and near the prayer wall, could you please pray for my Charleston? Thanks so much !! Loving you journey! !